Last year my husband (then fiance) & I went to Italy with his dad. It was an amazing trip! I had never been to Europe before. We stayed with family in Genoa for most of the trip. They were so warm & welcoming! I’m so glad God worked it out for me to have this new multicultural family on my husband’s side. Towards the end of our trip, we took sidetrip to Venice just the two of us. Every day, whether in Genoa or Venice, we drank cappuccinos & ate gelato. Every day! It was glorious. It was in Venice that I had the best gelato ever. It’s a given that I have a major sweet tooth, but I’m also a chocoholic. I usually gravitate towards treats that have some chocolatey element. This gelato was a different story. This gelato was ricotta honey sesame. I think what drew me to this particular flavor was the fact that a couple of days earlier in Genoa, my husband’s aunt served us the most delicious ricotta I’ve ever had. It was so amazingly fresh and creamy. My mouth is watering just typing this. I need to go back to Italy. So this gelato, ricotta honey sesame, caught my eye. I am so glad it did! It was my favorite gelato of the entire trip, by far! I have been dreaming of this flavor ever since. As soon as we got our ice cream maker, which we bought with a gift card from an Italian friend of the family, I knew I had to attempt an American recreation of the sorely missed gelato. 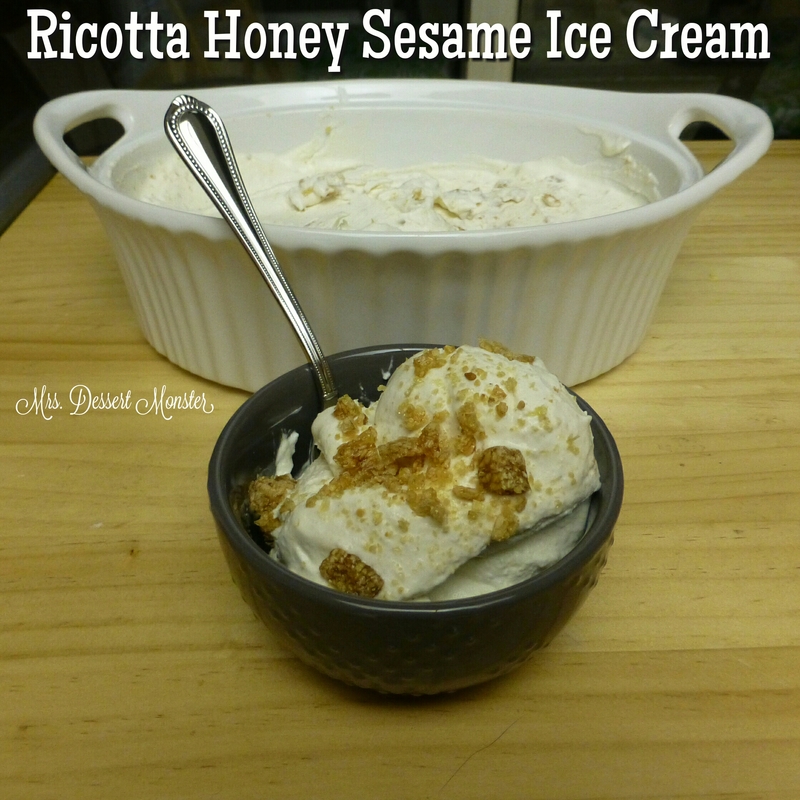 I googled ricotta honey sesame ice cream to see what I could find, & I wasn’t disappointed by what I found! 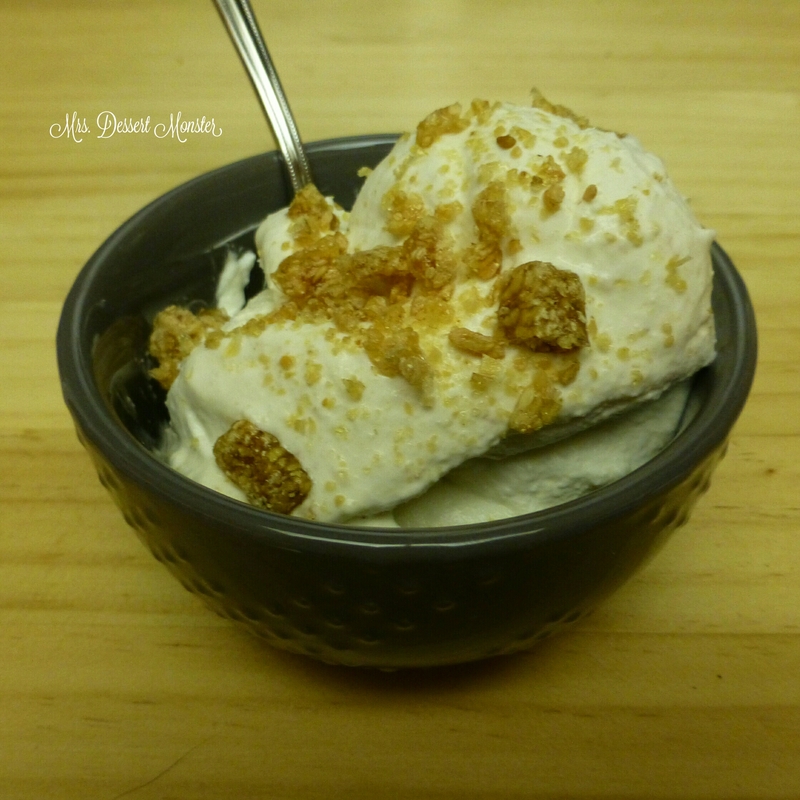 This Pure Wow recipe for ricotta honey ice cream looked promising. I adapted it for the ice cream maker & added the sesame element. I mixed honey, ricotta, vanilla, cinnamon, & half of the heavy cream with my KitchenAid mixer until it was smooth. While that was all mixing, I crushed up some sesame seed candies (tada!). 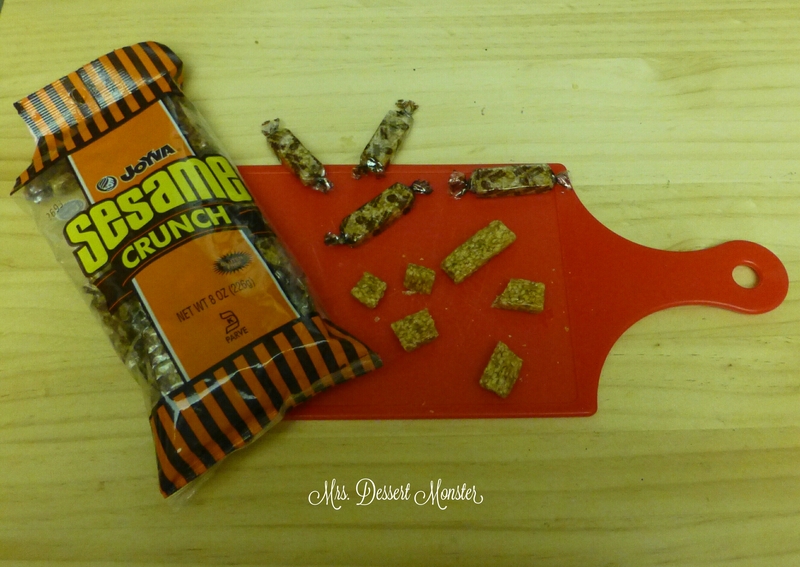 I grew up eating these; my family calls them ajonjoli (which is the Spanish word for sesame). It seems to be an ‘ethnic’ thing – you can find these in the ethnic food aisle. My husband had never had these before, but my Jamaican coworker had. Island people are all very similar. These candies are really simple – honey & sesame. Perfect for this ice cream! 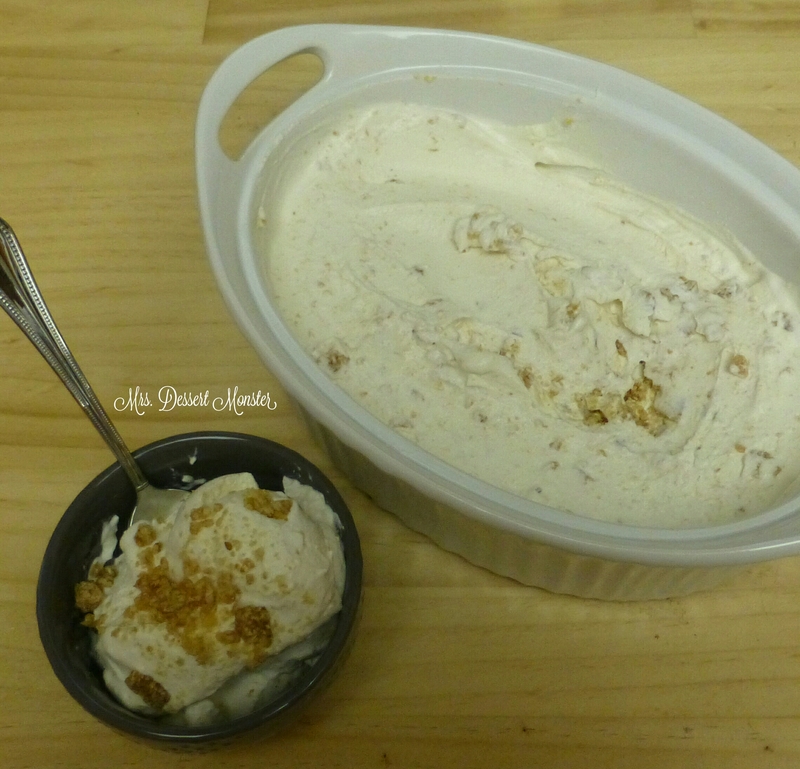 Once the ricotta honey mixture was smooth, I put it in the ice cream maker with the remaining heavy cream & let it church for about 20 minutes. I was expecting the ice cream to be kind of soft & need to set in the freezer, but I was wrong! I think the ricotta gave it that firm but creamy texture. With the ice cream maker still on, I poured in the crushed up sesame candies to mix them all in. It’s not quite the exquisite gelato I had in Venice, but it will do until I can go back to Italy for more! 6-8 sesame seed candies, crushed. 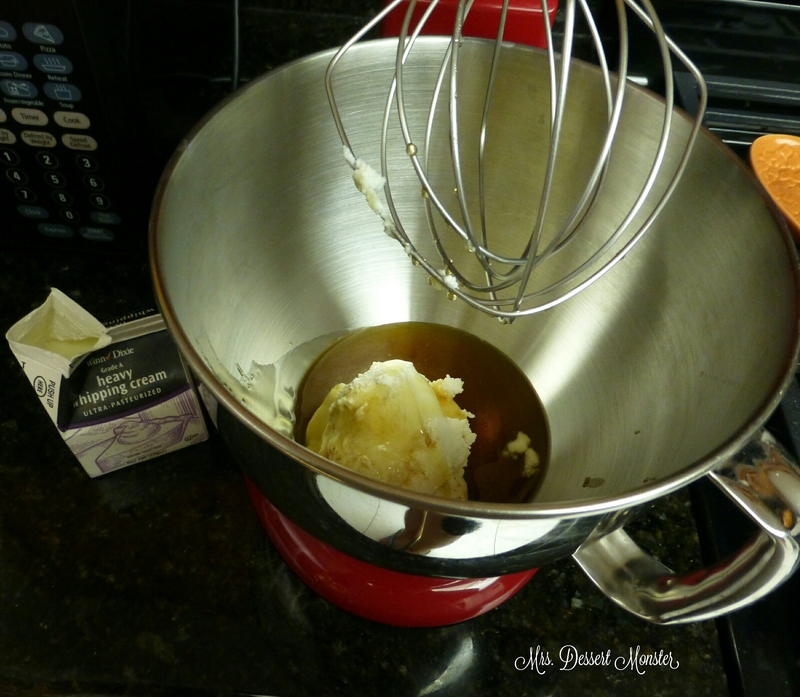 Using an electric mixer, mix the ricotta, honey, vanilla, cinnamon, & 1 cup of heavy cream until smooth, about 5 minutes. Pour mixture into ice cream maker & add remaining heavy cream. Churn for 20-25 minutes. Add crushed sesame seed candies before turning off ice cream maker. Serve & enjoy! If ice cream is too soft, place in freezer to set before serving. ← Guest Bathroom Remodel – In Yellow! You had me at Honey! My Local Honey would be perfect for this! This sounds really good! Thanks for sharing at Inspiration Thursday! So glad you stopped by.